Uncover the majesty of this extraordinary region as you cruise along highways carved out of the rocky shoreline and immerse yourself in charming locales along the way. Navigate an experience that’s uniquely accessible with the freedom and versatility of a rental car. This region is spectacularly scenic and the drive looping around the western side of Lake Garda is one of Europe’s best and least visited itineraries. However, this region is packed with medieval sights and wonderful restaurants. Start in Verona. Visit the city that’s world famous as the setting of Shakespeare’s Romeo and Juliet. The city also contains the third largest amphitheater in Italy where in the summer months opera is performed. Take time to wander down the original shopping street, Via Mazzini. Explore the Basilica di San Zeno Maggiore that dates back to the 4th Century and clamber through the imposing Castelvecchio. Then skirt the southern side of Lake Garda. In the town of Sirmione, while you stroll through enchanting gardens and saunter along historic, cobbled streets peppered with quaint cafes and art galleries, you can enjoy amazing views of the lake while at the end of a two-mile peninsula extending into the lake. Unfortunately, this town is now swarming with tourists. Though the views and setting are wonderful, a quick visit is all that is needed. Keep traveling west along the southern coast of the largest freshwater body in the country. 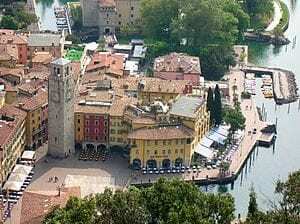 The largest town on the lake is Desenzano. This is the transportation hub of southern Lake Garda. It is a good town to set up camp, with a lively nightlife, picturesque old town, good cafés, and excellent restaurants. The cathedral has a wonderful mosaic floor, and the old harbor has plenty of tables along the lake for outdoor seating if the weather permits. 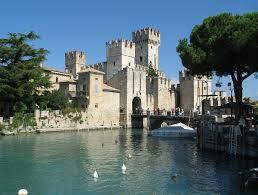 Then turn north and begin your tour of the western side of Lago de Garda. Aim for Limone Sul Garda. The road will wind through craggy cliffs and trace a trail along the lakeside that no one will forget. A driver can hop from harbor to harbor. 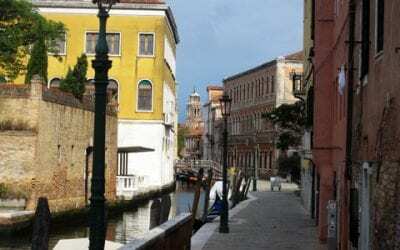 The names of these tiny picture-postcard towns are unknown to most Americans — Lazise, Manerba, Salò, Gardone Riviera, Gargnano, and Riva del Garda. There are wonderful panoramas with views across the lake from Madonna di Gaino and Madonna di Monte Castello above Tignale. The house of Gabriele d’Annunzio in Gardone Riviera is dazzling. It is a private museum with thousands of objects such as paintings, tents, cars, stained glass, and musical instruments. Gargnano is filled with lemon trees, as is Limone Sul Garda. Otherwise, small towns have plenty of churches with flamboyant frescoes, gardens, promenades, and hillsides of flowers. At the far northern end of the lake, Riva del Garda has an atmospheric shopping district. This is one of the windsurfing Meccas of Europe, with excellent winds that come from the mountains and sweep along the waters. Finally, the road will take the drive into Trento, once part of Austria that was given to Italy after WWI. This town has remains of many cultures from Etruscan to Roman and from Gauls to Hapsburgs. Its Castello Buonconsiglio is stunning and immense. The cathedral smack in the middle of the old town is worth visiting. And, make sure to visit the Museum of Science on the banks of the Adige River. Plus, take time to see the Museum of Aeronautics at the Trento airport. Beneath the modern city is a preserved part of the old Roman town of Tridentum during the 1st Century. Travelers United’s recommended European rental car company is AutoEurope. Their customer service is wonderful. Call 1-800-223-5555 or www.autoeurope.com. ​The mission of Travelers United is to identify and promote ways to improve and enhance travel for consumers across all modes of travel. 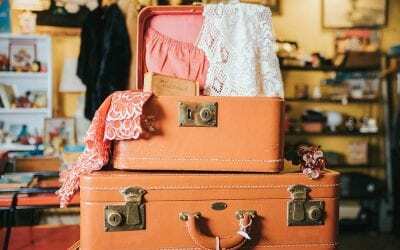 Travelers United is a nonprofit tax-exempt 501(c)(3) organization.